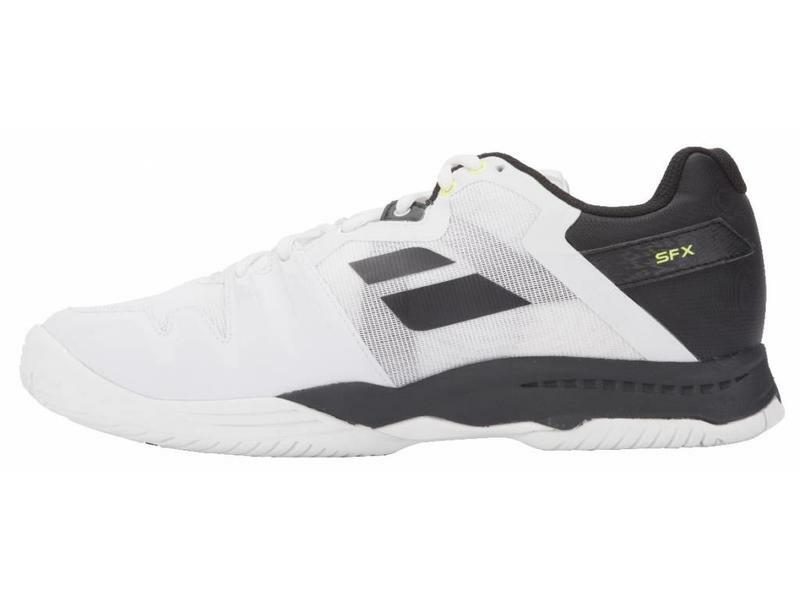 abolat's SFX 3 All Court Men's tennis shoes in white/silver/black are engineered for maximum comfort and stability. 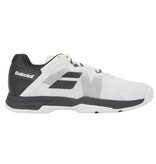 These breathable shoes come lined with a soft inner mesh which is protected by a durable exterior mesh. This gives the shoe a comfortable, yet dependable upper. 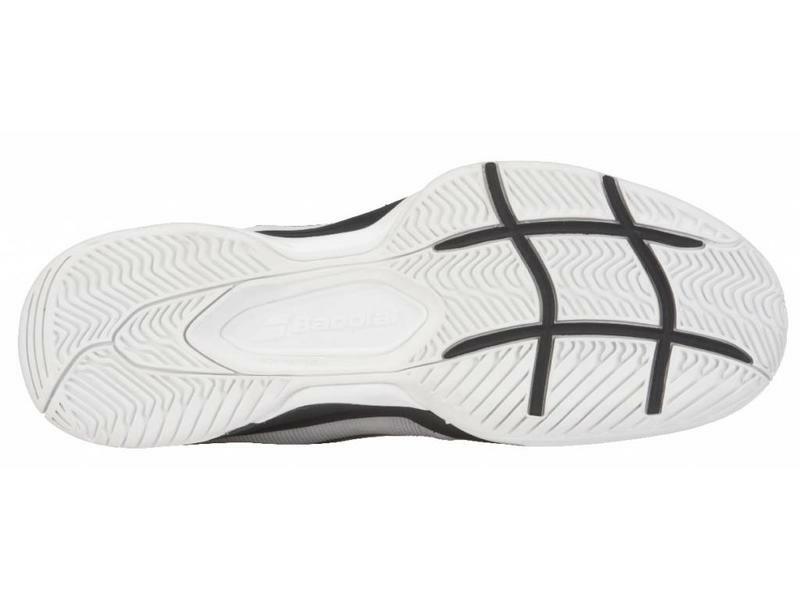 A bi-density insole compliments Babolat's Kompressor System for excellent shock absorption and responsive cushioning. Active Flexion technology targets key pressure points and reinforces proper foot movement, adding an element of security. The Michelin rubber outsole provides the best in traction and durability. These shoes come with some extra space, making them great for wide feet. 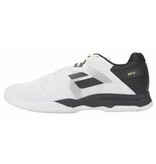 Upper: Comfort, breathability and durability is engineered into the shoe using their double-layer mesh upper. Toe guard. Internal straps lock your foot down securely into the heel cup. 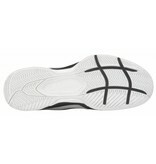 Insole: Bi-density for greater comfort. 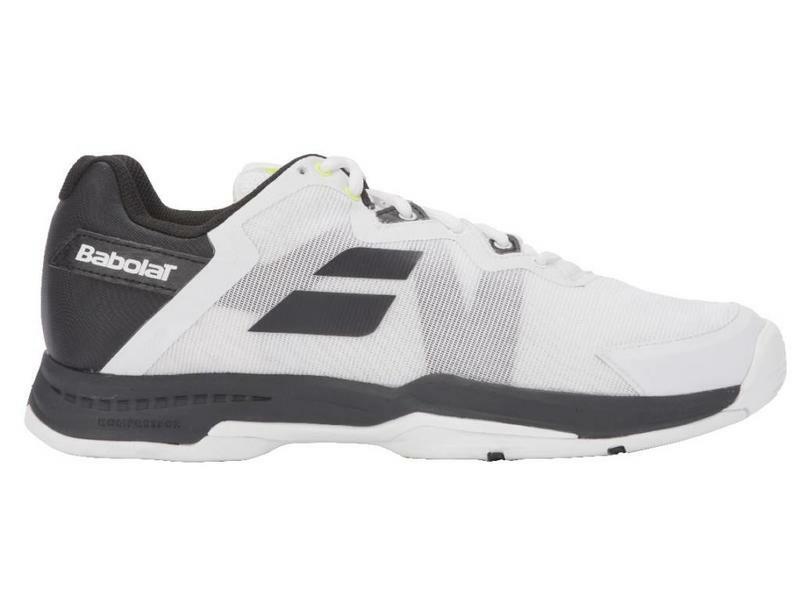 Midsole: Babolat Kompressor system. Active Flexion technology gives the shoe rigidity and flexibility in key pressure points to support proper foot placement and form. Outsole: Michelin's rubber is guaranteed to be long lasting.